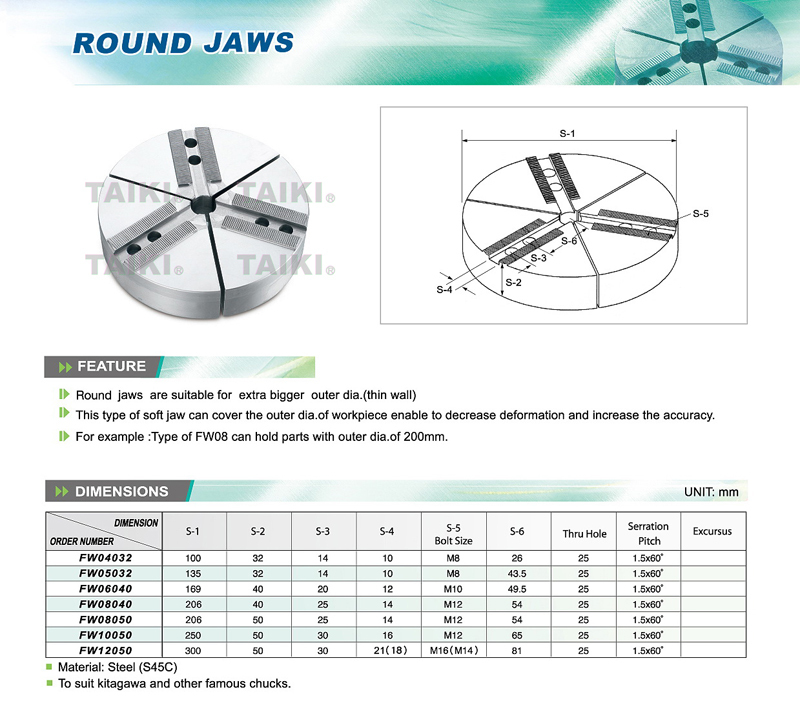 Steel Round Jaws(FW08050) - Taiki Industrial Co., Ltd. The round jaws - Steel type) (FW08050) is used in CNC lathe. The round jaws are suitable for extra bigger outer dia. (thin pipe.). This type of pie jaws can cover the outer dia. of work piece enable to decrease deformation and increase the accuracy.